Whether in the city or in the country, District Picnic Tables will bring people together. 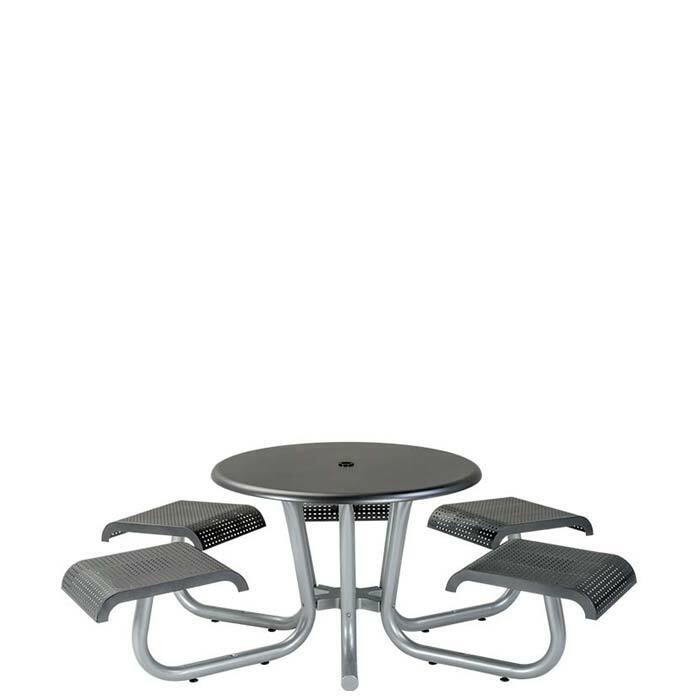 This 42" Round Picnic Table features a square pattern design, has five seats, and is ADA compliant. The District 42" Round Round Patterned Picnic Table is made of aluminum for durability and ease-of-maintenance and is available in the Urban Finish palette. Guests will gather at these picnic tables for an enjoyable meal - day or night.